The sounds of the gong have a powerful multilayered effect on our being; physical, emotional, mental and spiritual. It may trigger a healing response in the immune system and re-calibrate and balance our central nervous system. An important aspect of self healing is intention setting. This helps focus the energies however at the very least you will feel different! All that’s required is to lay the body down or sit comfortably and surrender to the waves of sound. 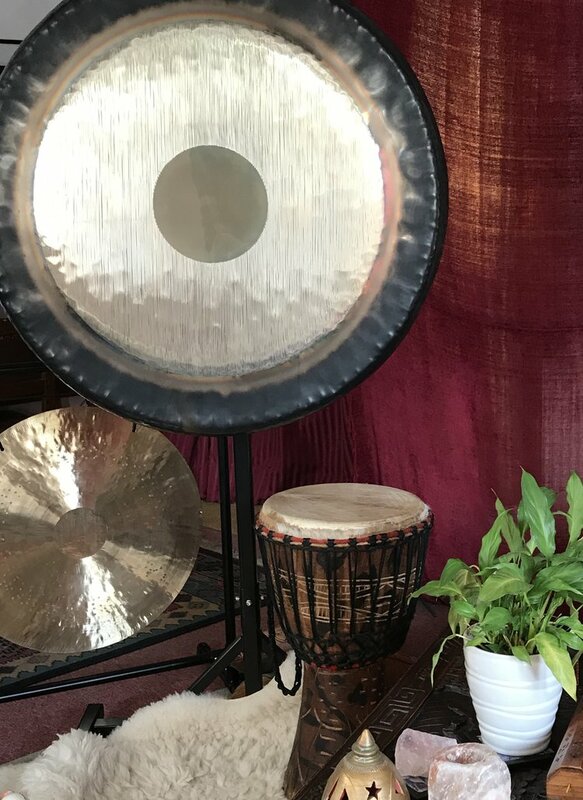 A healing session of 1.5 hours including approximately 50 min of gong and sound journeying will leave you feeling calm clear and rested. This being the reason it’s often referred to as a Gong Bath. Monthly sound journeys take place in Exeter and East Devon. Booking is required. Or, schedule a private gong bath session if you feel this could be a beneficial therapy to explore.